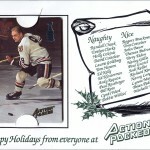 Pro Set cards may have made the most overproduced hockey trading cards from the hockey card boom years, but if you look around hard enough, you will find a few rarities among the clutter. 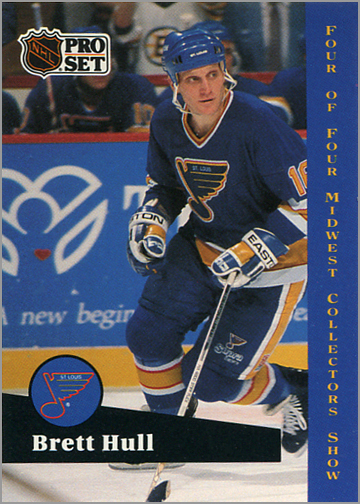 One example are these four St. Louis Blues cards, which were given away at the Midwest Sports Collectors Show. The convention took place on November 15-17, 1991 in downtown St. Louis, featured over 300 tables and had Blues’ star Adam Oates and baseball legend Mickey Mantle as autograph guests. Fans could also get these four exclusive Blues cards, made by Pro Set. Although not particularly rare, they are enough of an oddball variant that a completest might want them. 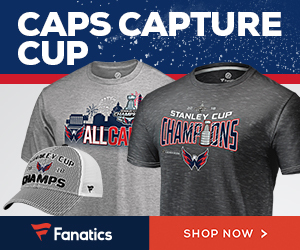 Also, the promo set features a Blues’ player that probably should not have been included. 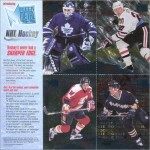 The cards share the same design at the 1991-92 Pro Set Hockey set. The only difference is a blue stripe with yellow text along the right edge, stating that the card is from the “Midwest Collectors Show.” Even the photographs used are the same. 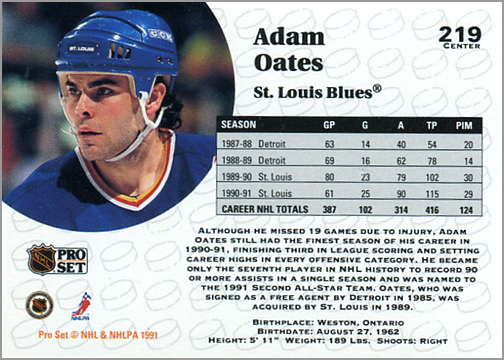 Oates’ inclusion in this four-card promo set is a no-brainer, since he was a popular — and high scoring — player for the Blues the past two seasons. 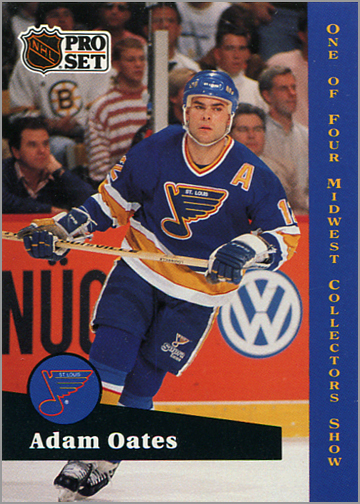 The backs of both Adam Oates cards are identical. 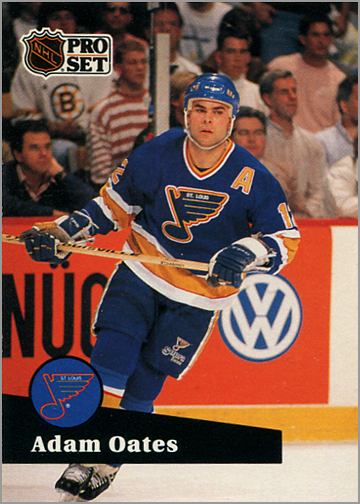 Another good choice for this set, Cavallini led the NHL in plus/minus in 1989-90 and played in the 1990 NHL All-Star Game. 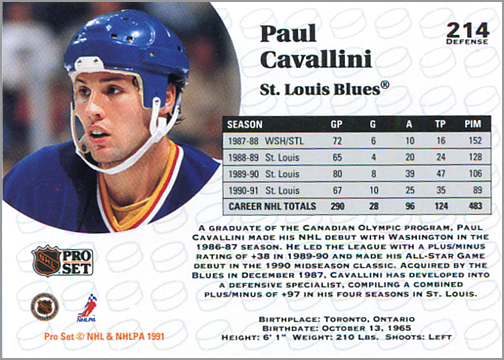 The backs of both Paul Cavallini cards are identical. 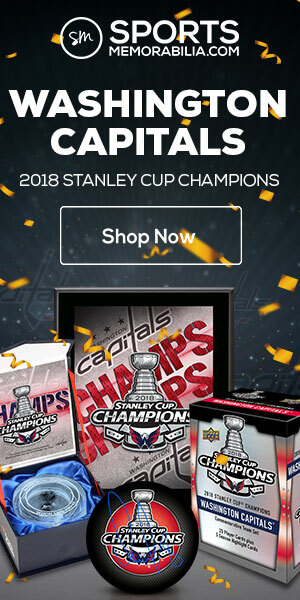 Now this was an odd choice for the promo set. 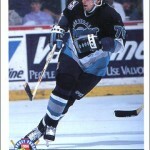 Meagher had retired after the 1990-91 season, and was not playing when these cards came out. 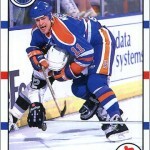 Since Meagher did not have a card issued in the 1991-92 Pro Set set, the company used the photo from his 1990-91 Pro Set card. 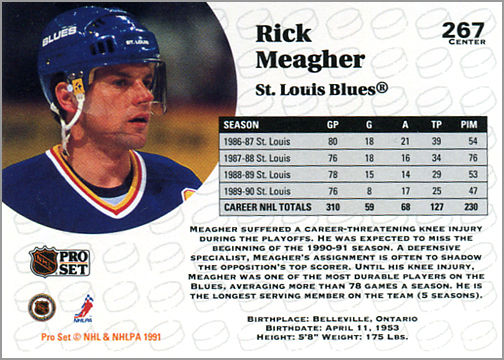 On the back, the promo card uses the stats, photo and write-up from Meagher’s 1990-91 Pro Set card. 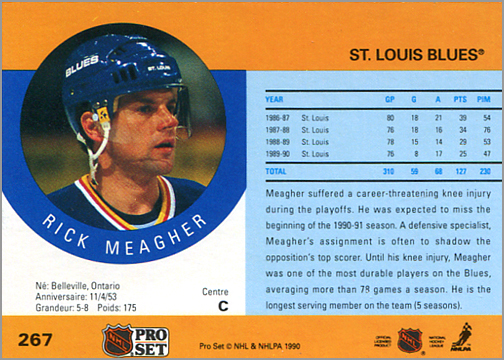 Pro Set didn’t even bother to include Meagher’s 1990-91 stats on the back of the show promo card, nor did they mention that he had since retired. 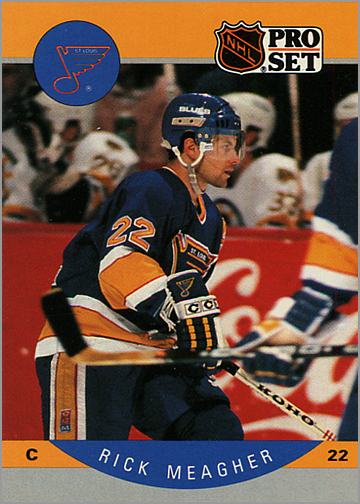 The show promo card also says that it is card #267 on the back, which was the card number of Meagher’s 1990-91 Pro Set card. 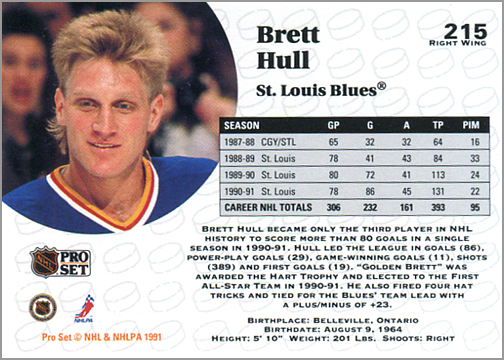 Of course, Brett Hull would have to be included in this set, as he was the Blues’ most popular player, as well as the team’s leading scorer, over the past three seasons. Like the show promo cards of Oats and Cavallini, the back of the Hull show promo is the same as the standard 1991-92 Pro Set card. 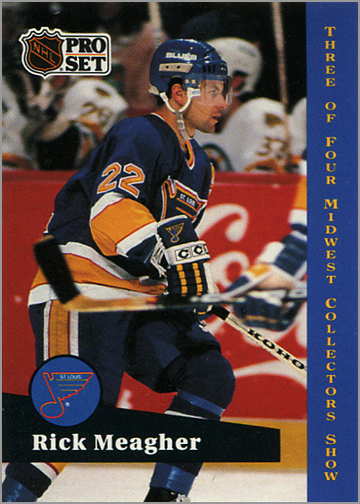 What I really wanted to figure out is why Rick Meagher was included in this promo set, instead of an active Blues’ player? My best guess is convenience. 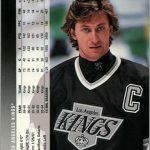 Pro Set wanted to use photos that they already had on-hand, not track down any new photos or write any new text, and just re-use some cards from the 1991-92 Pro Set Series One Hockey set. That would keep expenses low. 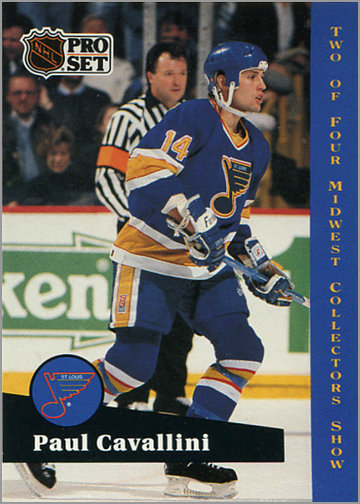 Thus, Pro Set re-used cards of Hull, Oates and Cavallini from their 1991-92 Series One set. But figuring out a fourth player to include became tricky. Scott Stevens, Rod Brind’Amour and Vincent Rieundeau — who all had cards in Series One — had moved on to different teams by Fall of 1991. 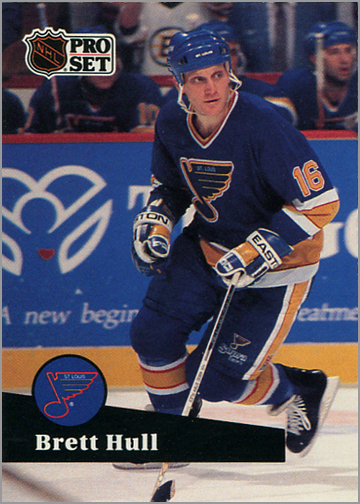 The rest of the Blues in Series One — Bob Bassen, Rich Sutter, Dan Quinn, Garth Butcher, Ron Wilson, Jeff Brown or Gino Cavallini — were perhaps not seen as interesting or exciting as Meager, who was the Blues team captain in 1989 and won the Selke Trophy in 1990. That could be why he was chosen to be a part of this set, even though he was long-retired by then. 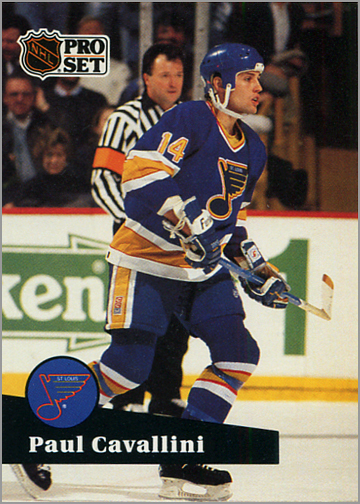 Prior to the start of the 1991-92 season, the Blues had acquired Brendan Shanahan. 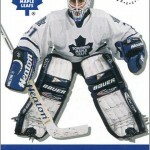 Rookie Curtis Joseph also became the team’s number one goalie. 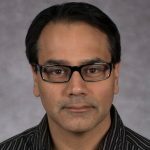 It is unlikely that Pro Set had photos of either of those players in Blues uniforms at the time, hence their decision to instead include a prominent, though retired, player from recent history that they had a picture of. Perhaps they expected him to be a guest at the show, or perhaps they just wanted to honor his time with the team? Hi Billy. Thanks for your comment! According to the ad for the show –and now, I wish I had included it with this article — the only signing guests listed were Oates and Mantle. That doesn’t mean that Meagher wasn’t there; I was not at this show, so I do not know. Regardless, the Meagher card is still a bit of an idiosyncrasy, which is why I think it is neat.